On January 1st, 2019, just twelve minutes into the new year, a 28-year-old man was truck in his hand with a stray celebratory bullet. The incident occurred during a New Year’s Eve celebration party at a home on E. 14th St. near the City of Oakland border. The victim, who is visiting from Mexico, stated that he was in the backyard of the home when he felt something hit his left hand. The victim looked down and found a 9 mm bullet laying on the ground. The bullet did not penetrate the victim's skin, however, it did cause an abrasion that needed medical attention. San Leandro Police officers responded to investigate and collect the stray bullet. The victim was taken to a local hospital for treatment. Each year at the stroke of midnight on New Year's Eve, celebratory gunfire can be heard in San Leandro. This type of celebration is especially concerning and dangerous because of the bullet projectiles that eventually fall back down. Often times the velocity of the falling bullets can be just as powerful as when initially discharged and can be deadly. "I just don't think people realized the dangers and ramifications when choosing to celebrate the New Year with gunfire," said San Leandro Police Lieutenant Isaac Benabou. "We are grateful that the victim was not seriously hurt as a result of this careless act." It is unknown where the bullet was fired from, however, the round will be retained for future investigation. 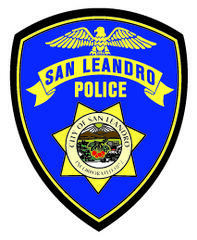 Other than this incident, there were no other significant events that occurred in San Leandro on New Year's Eve.